When you need fast and reliable medical services, the team at Revive Medical Urgent Care is there for you. 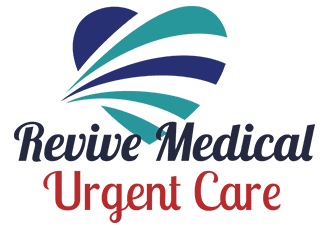 Conveniently located near Penn Square Mall® in Oklahoma City, Oklahoma, Revive Medical Care is an urgent care clinic that’s open seven days a week and welcomes walk-in patients. The highly skilled staff at Revive Medical Urgent Care are committed to providing clear and reliable information about their services, procedures, physicians, and all other aspects of their practice. They strive to ensure each visit is pleasant, comfortable, and involves minimal wait time. They accept most types of health insurance and most credit cards, as well as a special discount for self-paying patients. Whether you need treatment for a non-life-threatening illness or injury or are coming in for a work or sports physical, the trained providers at Revive Medical Urgent Care are ready to help. They see patients of all ages and offer on-site pediatric urgent care. For fast and convenient medical care, call the office, schedule a convenient time online, or simply arrive without an appointment.